Our ‘Hey! 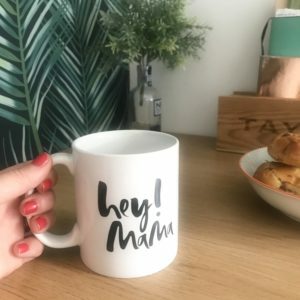 Mama’ mugs make a perfect gift for new mums (or not so new mums), perfect for their morning cuppa*. 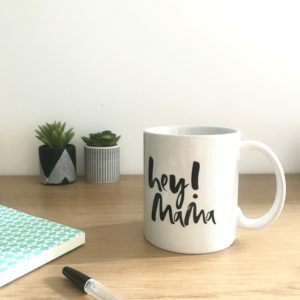 The monochrome print makes for a stylish addition to any home or desk, with our exclusive design from the brilliant Too Wordy. 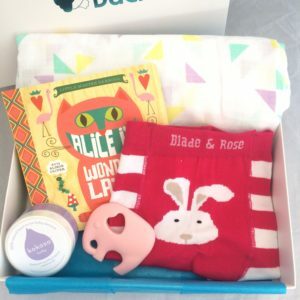 Buy on it’s own, or as part of our Back to Work Mama box. 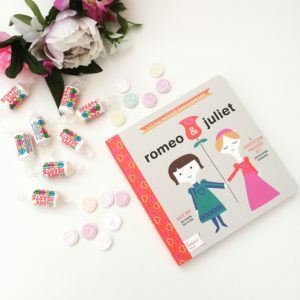 Charming classics written for babies, but enjoyable for parents too. 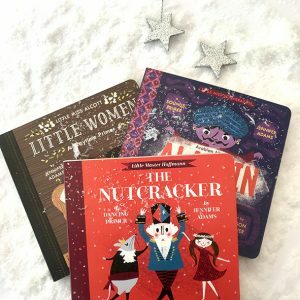 With gorgeous illustrations, each book is tailored to helping children to learn – explore numbers, colours, sounds and animals with the help of these well known stories. 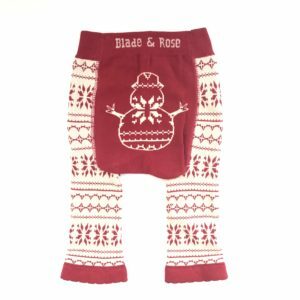 These fabulous Christmas Pudding leggings make for a perfect outfit for Winter babies – lovely and soft and designed for comfort. The spandex content means there is no sagging at the knees, with a super soft waist band, so these will keep your babies super cosy and comfortable whether moving about, or fast asleep. Lovely and festive, and perfectly unisex too, these would make a lovely Christmas gift, or party outfit. 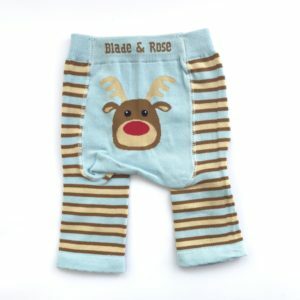 These super cute soft blue Reindeer print leggings make for a perfect outfit for Winter babies – lovely and soft and designed for comfort. The spandex content means there is no sagging at the knees, with a super soft waist band, so these will keep your babies super cosy and comfortable whether moving about, or fast asleep. 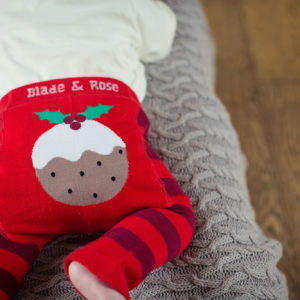 Great for little festive bottoms, and especially as a Christmas gift or party outfit. 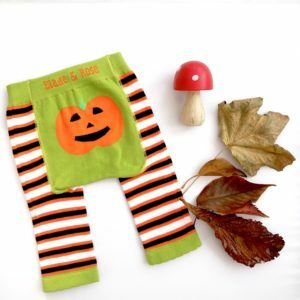 These fabulous Halloween leggings make for a perfect outfit for Autumn babies – lovely and soft and designed for comfort. The spandex content means there is no sagging at the knees, with a super soft waist band, so these will keep your babies super cosy and comfortable whether moving about, or fast asleep. 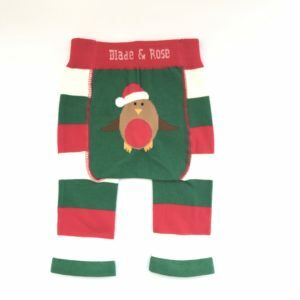 These little festive robins are super cute, and a perfect outfit for Winter babies – lovely and soft and designed for comfort. The spandex content means there is no sagging at the knees, with a super soft waist band, so these will keep your babies super cosy and comfortable whether moving about, or fast asleep. 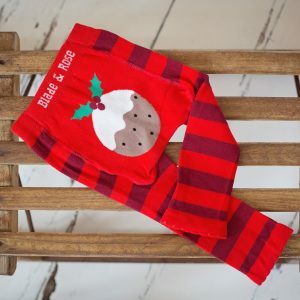 These super sweet Rudolph leggings make for a perfect outfit for Winter babies – lovely and soft and designed for comfort. The spandex content means there is no sagging at the knees, with a super soft waist band, so these will keep your babies super cosy and comfortable whether moving about, or fast asleep. 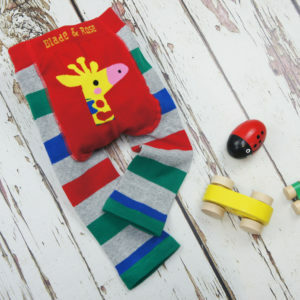 Lovely and festive in green, red and taupe, they are perfectly unisex too. Perfect for a lovely Christmas gift, or party outfit. 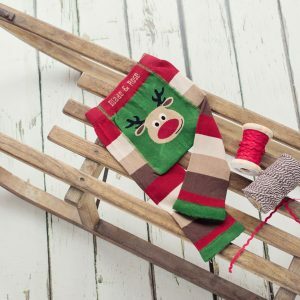 These festive fair isle print leggings make for a perfect outfit for Winter babies – lovely and soft and designed for comfort. The spandex content means there is no sagging at the knees, with a super soft waist band, so these will keep your babies super cosy and comfortable whether moving about, or fast asleep. In red and cream they are perfectly unisex. Great throughout the Winter, and especially as a Christmas gift, or party outfit. 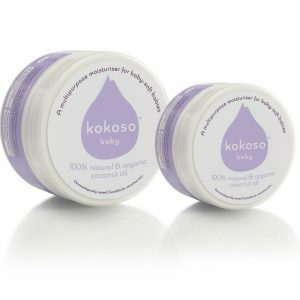 We are delighted to stock the wonderful Kokoso Baby Oil. Perfect for babies, and just as great for the whole family. Discover the secret to baby-soft babies with our 100% natural multipurpose moisturiser. Choose from two sizes. Also perfect for mama’s too. 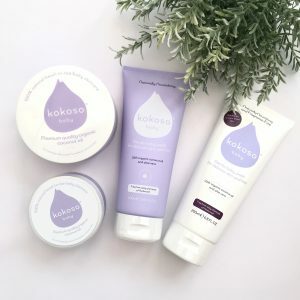 Packed with all the goodness of Kokoso Baby’s premium quality organic coconut oil, these naturally nourishing baby washes have been lovingly created to softly and safely cleanse precious young skin from head to tiny toes. The unique, ultra mild formula also contains soothing organic aloe vera, a gentle plant-based foamer and absolutely no added nasties – leaving delicate skin and hair feeling beautifully clean, pure and baby-soft. Gentle on new baby skin, but perfect for the rest of the family too. Fragrance-Free is baby’s very first hair and body cleanser. It’s also perfect for little ones with particularly sensitive skin. Softly Scented (with 100% natural allergen-free coconut) is recommended from around three months when baby’s has had time to adjust to the world. Although safe to use from birth, this is our recommendation in order to give brand new skin the purest start in life.